Don’t hang your basket up for the year just yet … many mushrooms can still be found in the Northeastern United States (in fact, even in January you can find me mushroom hunting). These are brick caps (Hypholoma sublateritium) – edible mushrooms that improve in taste as the year progresses. They can usually be found in the autumn months through winter, though they become less bitter generally after the first frost. This is not a beginner’s mushroom. Brick caps resemble sulfur tufts (Hypholoma fasciculare), poisonous mushrooms that grow within the same season (I found sulfur tufts not too far from this spot). Both grow in clusters on decaying wood and produce purple-brown spore prints, though brick caps have reddish caps (paler at the margins) with grayish-purplish brown gills, and sulfur tufts usually have greenish yellow caps with greenish yellow gills (becoming darker with age). 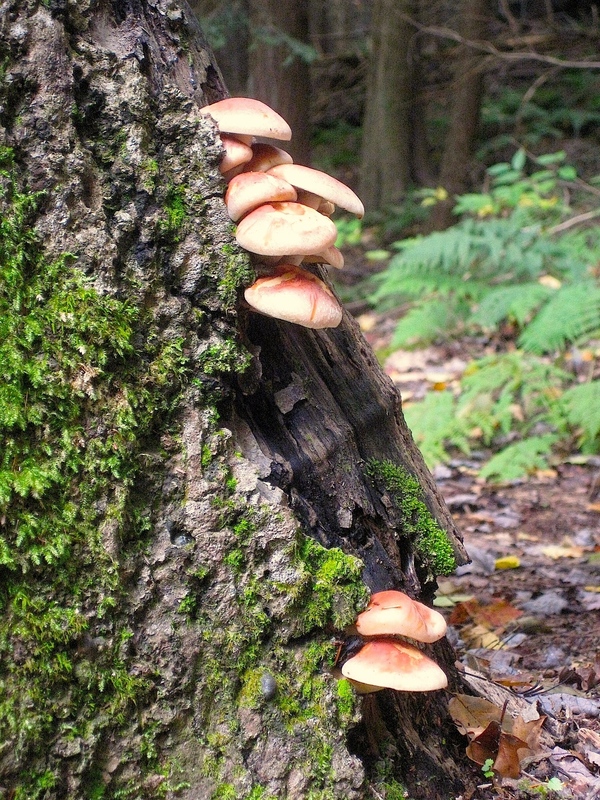 This picture was taken in October, though I am still finding brick caps on stumps here in western Pennsylvania. Sure, they may be frozen. Harvest them (if you’re absolutely positive they are indeed brick caps), take them home, and they will thaw in no time. There are many things for which I am grateful in life … cold-loving fungi definitely make the list.